A bicarb free deodorant paste scented with real coconut and mango fruit extracts. With no bicarb or essential oils, this deodorant paste is suitable to sensitive skin types. Made on a base of shea butter and coconut oil to keep skin smooth and nourished. Wrapped neatly in post-consumer recycled paper plastic-free packaging that is 100% biodegradable. 35g. Effective at combating odour and nourishing to your skin. Zero bicarbonate soda and zero essential oils. 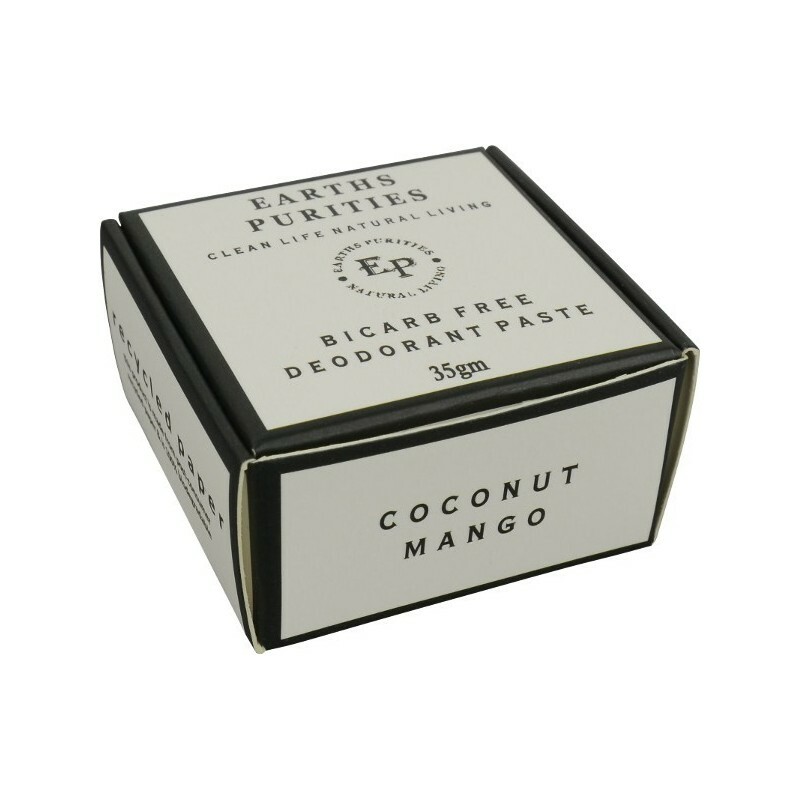 Real coconut and mango fruit extracts to scent the paste. Uses modern technology to extract the scent, macro nutrients and botanical properties of the fruits. *Organic coconut oil, *Organic Shea butter, organic arrowroot, candelilla wax, zinc salt, cocos nucifera extract (coconut), mangifera indica extract (mango). *Certified Organic. 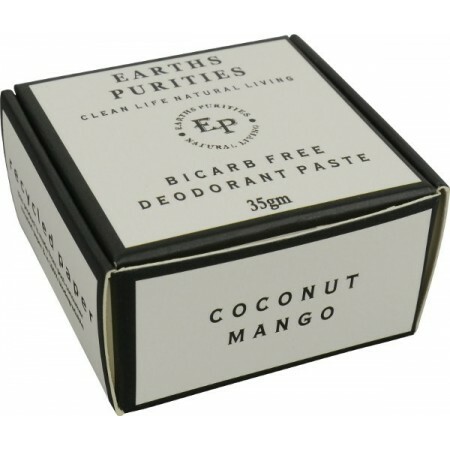 It takes a bit of getting used to using a deodorant paste rather than a rollon or a spray, but the subtle coconut mango scent makes it very appealing. And the base of shea butter and coconut oil is soothing for anyone who ever suffers from shaving burn. One of the best natural deodorants I've used in six years of experimentation.